Secondly, you suffer from a low ROI – not to mentioned frustrated marketing and trade show personnel – because your sales force may know how to sell in the field, but few know how to sell on the trade show floor. That’s why “teamwork” must be stressed at the pre-show meeting. Reps can help each other do more business at the show, which aids everyone. If a fellow rep won’t reciprocate, then you can stop sharing the leads with that rep. But more likely than not, your fellow rep will return the favor, if not there, at some time in the future. 3) Get your mind off the close. Reps are focused, rightly so, on closing deals. However, at trade shows you have to relax and distance yourself from the close and work more on the “relationships” aspect, as well as educating potential customers. Why? Basic psychology: At trade shows, there is a lot going on – it can be a sensory overload! This can make attendee nervous and anxious and they can sense the same from other people. People will always gravitate to someone who is calm and relaxed, especially if they themselves are not. If you are relaxed and focused on relationships and educating the attendee, the attendee will respond with calmness and be more open to your ideas and suggestions. 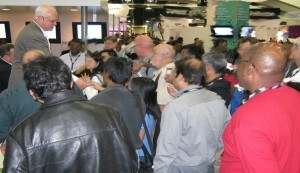 Bottom line: Trade shows are great for relationship building as well as the on-site, real-time education of large number of customers. As mentioned, webinars and teleconferencing are fine and have their place, but real face time and hands-on demos still and always will beat a flat screen and a dark conference room. 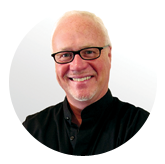 With decades of experience as a trade show magician, Bob has not only acted as a consultant on trade show sales, marketing and presentations for many of his clients, but he is also an international speaker on personal and professional development, as well as sales and success. The author of 3 books and countless articles on those topics, Bob has appeared on radio and television and is the creator of motivational, yet informative, audio products. ©2015Bob Garner. All Rights Reserved. You may use this article, but you must use the byline and author resource. Contact Bob Garner at http://www.bobgarneronline.com .